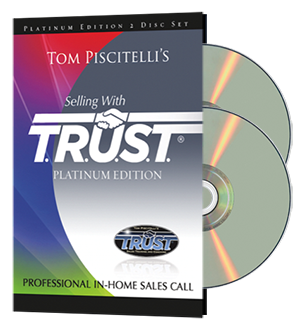 A preview of our Selling with TRUST Platinum Edition DVD and Online Video Series, featuring a walkthrough of a typical in-home sales call. 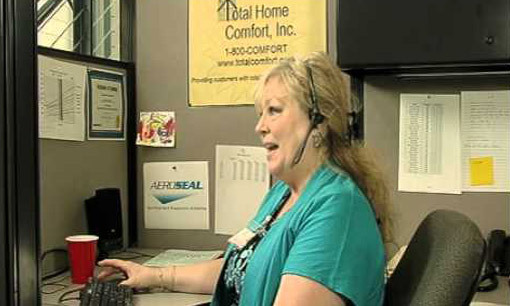 A segment from our Selling with TRUST Platinum Edition DVD and Online Video Series, showing how to take a homeowner’s call and set an appointment. 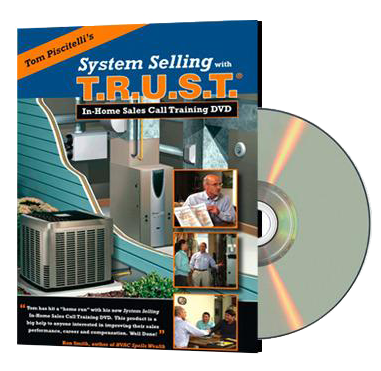 A sample of our First Edition System Selling with TRUST® In-Home Sales Call DVD, covering how to receive a homeowner’s call to the actual in-home sales call. 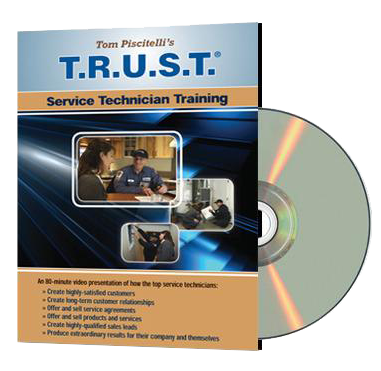 A segment from our TRUST® Technician Training DVD, covering how to arrive at a service/sales call. 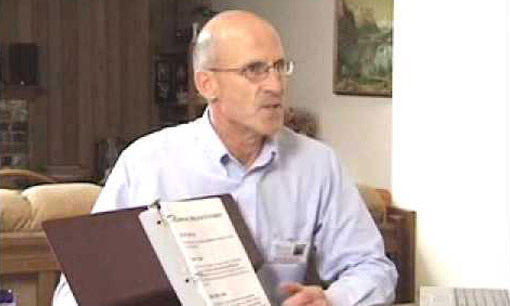 A segment from our TRUST® Technician Training DVD, covering how to negotiate pricing with a homeowner client. 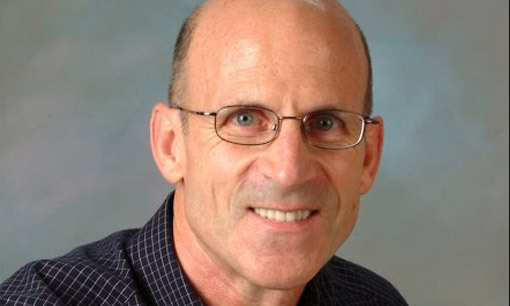 How to increase sales by integrating duct sealing into your in-home sales process. 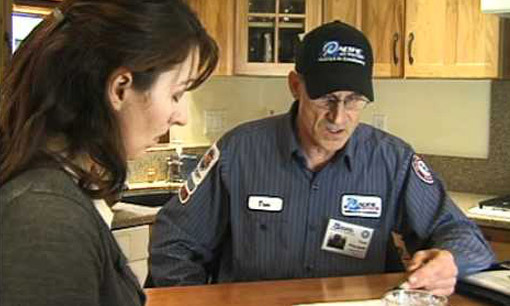 Also includes information about Aeroseal – duct sealing from the inside – for sealing leaky ducts. 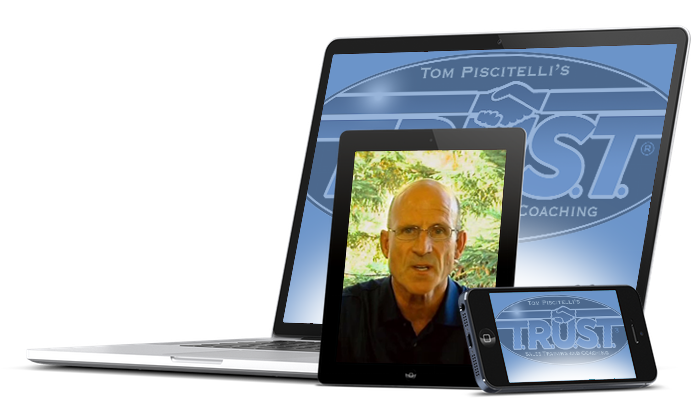 Two excellent collections of our best sales training modules you can watch from anywhere, at an affordable price point.